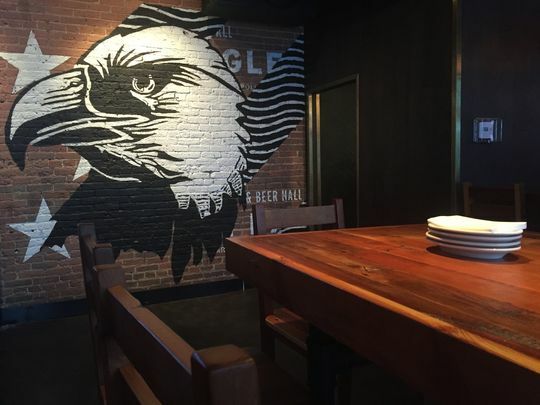 The Eagle Food & Beer Hall – Mass Ave. (Indianapolis, IN) | TMG Construction Management, Inc. This space at the pivotal corner of Massachusetts Avenue in downtown Indianapolis had housed a sports bar for the past 18 years. 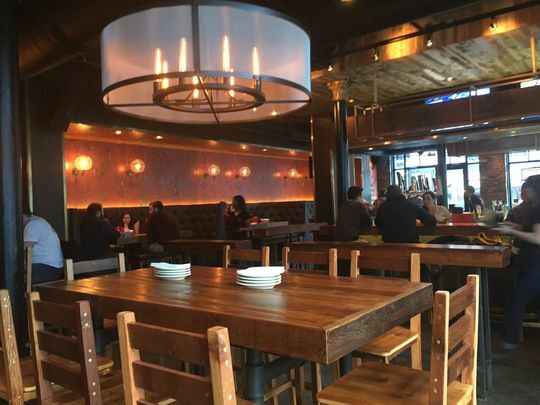 We gutted the entire space and remodeled it into the upscale Southern restaurant you see here. The owners had a goal to open The Eagle before Christmas. That goal became our goal, and so we completed this project in 12 weeks – a full month earlier than originally scheduled.